That is how a new story character introduced himself to me several months ago. Out of nowhere, he just popped into my head one morning with a loud “Howdy!” and it has been a fun and interesting time ever since. Red and I already had more story characters interviewed and on board for the first collection of “The Adventures of Little Red Bear” short stories than we could fit into the first collection, and the stories were already well underway at the time. But then “Howdy!” strode in and made such an impression on both Red and I that we stopped everything right there, and knew we had to go back and make room for him. Fortunately, being a little guy, he doesn’t take up much space. 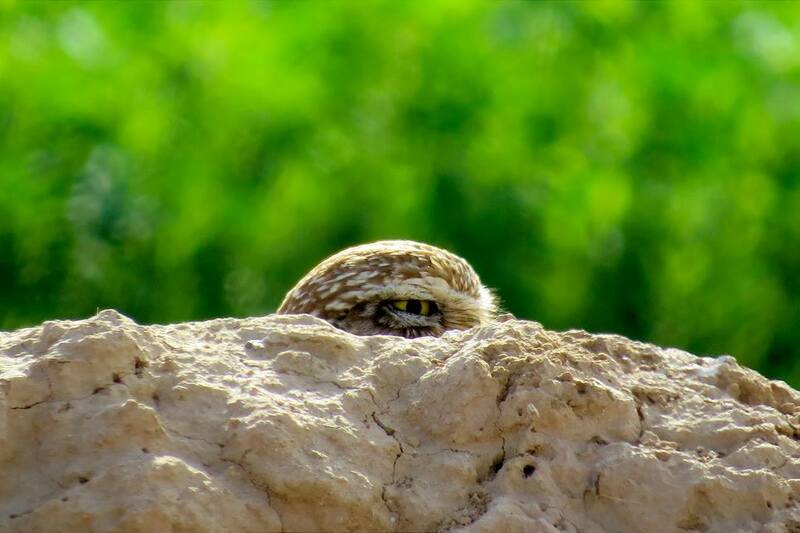 “Howdy!” is a Burrowing Owl from way out west in the Oklahoma Panhandle and has been thru quite a lot for a little guy. 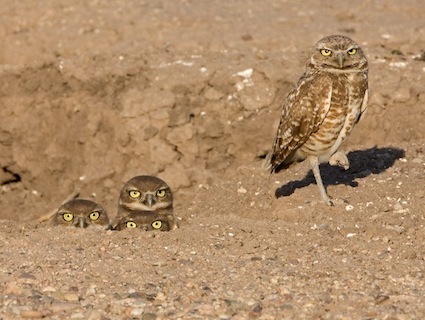 Burrowing Owls inhabit grasslands, rangelands, agricultural areas and other open, dry areas with low vegetation. 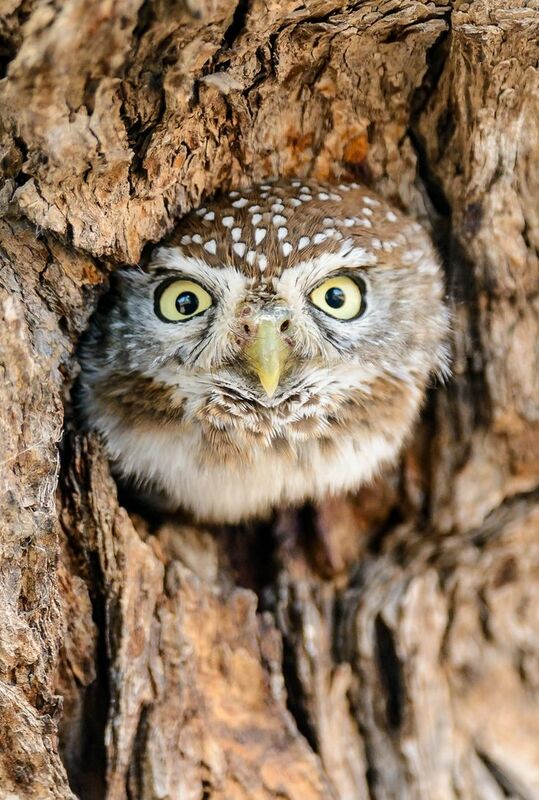 From their name, they live in a hole in the ground, not up in a tree like other owls. Although capable and willing to dig their own burrows, more frequently they inhabit existing holes abandoned by prairie dogs, skunks, armadillos, tortoises and the like. Unlike most owls, Burrowing Owls are active during the day, although wisely avoiding the midday heat. But like most owls, they do most of their hunting between the hours of dusk to dawn, taking advantage of their superior night vision and hearing. So “Howdy!” does not sleep a lot. And he does it all without coffee, caffeine or chocolate, which is truly amazing in itself. Living in open grasslands as opposed to forests, Burrowing Owls have long legs and short tails which allow them to sprint very quickly across the ground in pursuit of prey. They are small in size, about 11” long, a little larger than an American Robin when fully grown. When agitated, they bob their head up and down, revealing a white chin patch. But I cannot imagine this sweet little guy ever being agitated or angry. 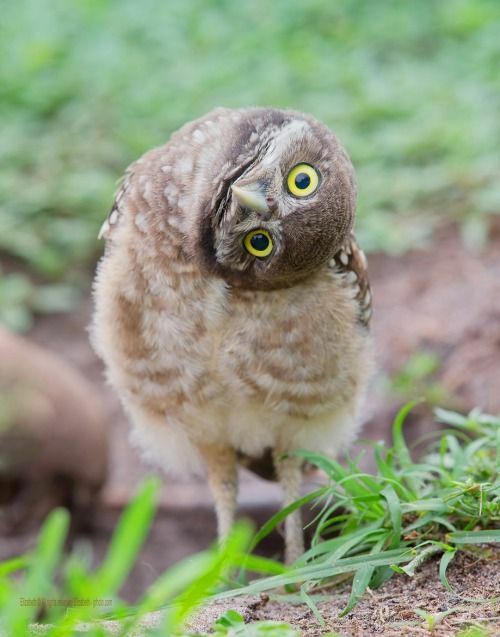 Burrowing Owls have no ear tufts, unlike many other owls. They feature prominent white eyebrow markings, and in color they are brownish, with lighter colored bars on the front and spots on the back. They have noticeable bright yellow eyes. No other owls are commonly seen on the ground or so frequently during daylight hours. Here is a wonderful little video from the Smithsonian Channel if you would like to learn more about “Howdy!” and his Burrowing Owl cousins. 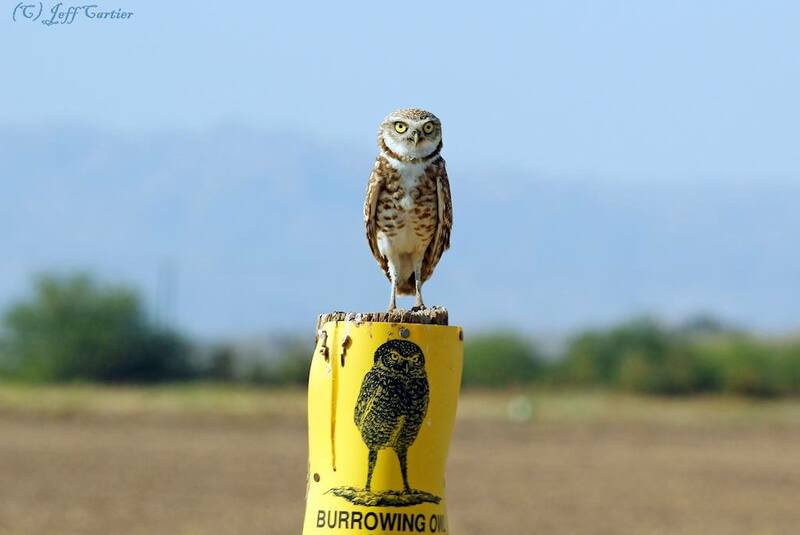 As with many birds and creatures, Burrowing Owls are threatened or endangered in some areas due to loss of habitat as more open nesting areas are plowed under for development and agriculture. This half-pint owl immediately captured our hearts and is featured in “The Adventures of Little Red Bear” short story collection available on Amazon. The Kindle version officially releases on Tuesday, June 23rd, and is available for preorder now. The Paperback print version is available for immediate shipment. With the stories out now Red wanted to introduce you to his new little friend to let you know a bit more about him, and we’re sure you will recognize him when he enters the stories. Not noted for stimulating conversation, he still makes quite the impression. ← Now Entering the Ring– Little Red Bear!